SAUZE D’OULX HAS ONE OF THE BIGGEST AND WELL STRUCTURED BIKE PARKS OF THE REGION. THE TRAILS , WHICH ARE REACHED BY CHARILIFTS AND ROADS, ARE ON AN AREA WHICH SEEMS TO HAVE BEEN MADE ON PURPOSE FOR GRAVITY ,WITH MORE THEN 1000MTS DROP THROUGH MOUNTAIN MEADOWS AND LARCH WOODS. THE TRAILS HAVE BEEN DESIGNED BY THE BEST INTERNATIONAL TRAIL BUILDERS WITH PARTICULAR ATTENTION TO FLOW WHICH MAKES THEM EXTREMLEY PLEASURABLE FOR ALL SPEEDS OF DESCENT. THE JOUVENCEAUX-SARNAS-SPORTINIA CHARILIFT IS USED FOR 13 TRAILS, 2 EASY, 10 MEDIUM AND 1 DIFFICULT, ON WHICH RIDERS CAN TRY OUT THEIR SKILLS ON BOTH SINGLE TRACK AND CHUTES. THERE ARE MANY ARTIFICIAL WOODEN STRUCTURES SUCH AS DROPS AND WALL RIDES, AND ONES IN EARTH SUCH AS TABLES AND STEP UPS. THE HIGER BIKEPARK PART IS DEDICATED AT THE ENDURO SPECIALTY: 3 TRAILS WHICH STEEP TECHNICAL PARTS ALTERNATE WITH FLOW AND RIDE PART. LONG NATURAL AND PANORAMIC TRAILS. 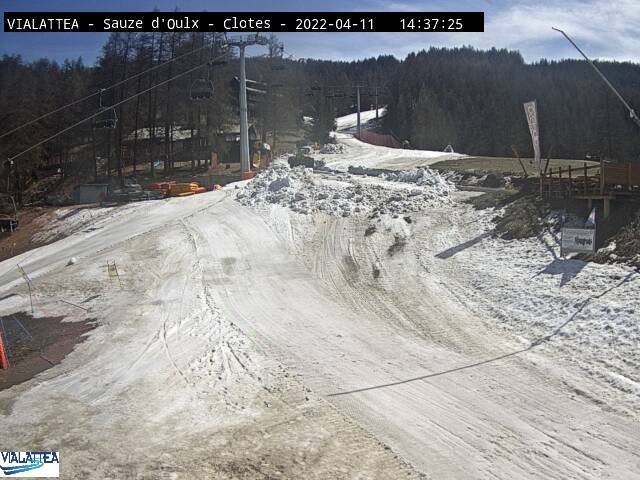 THE TRAILS ARE REACHABLE FROM SAUZE D'OULX AND JOUVENCEAUX, WHERE THE CHARILIFT STARTS. FOR WHO IS IN SAUZE'S HOTEL OR LEAVE THE CAR IN THE MAIN VILLAGE, TE TRAILS AND THE CHARILIFT ARE EASILY REACHABLE BY THE VILLAGE ROADS OR BY THE LINK TRAIL STRARTING IN PRARIOD SQUARE. THE RETURN IN SAUZE IS GARANTED BY MANY TRACKS THAT END IN THE CENTER VILLAGE. IS ALSO POSSIBLE STAY AND LEAVE THE CAR IN THE LITTLE JOUVENCEAUX TOWNSHIP, IN A BIG SQUARE LOCATED JUST 30MTS FROM THE MAIN CHARILIFT.